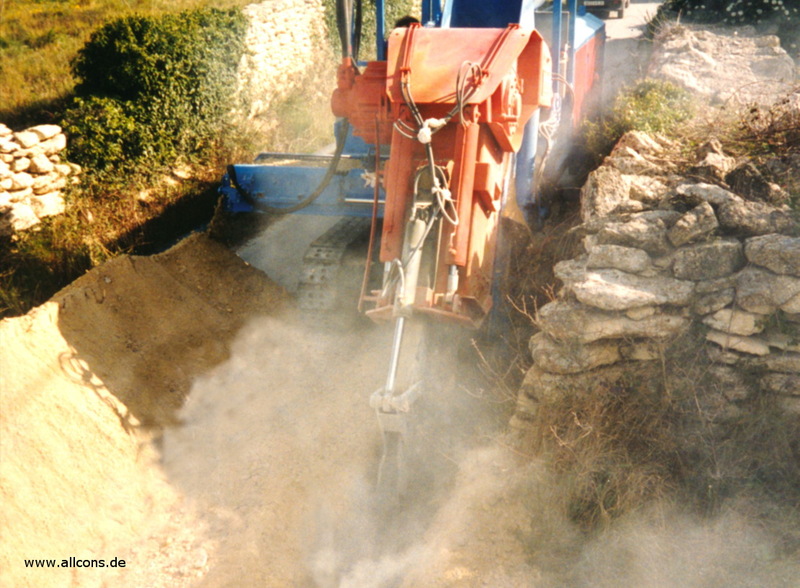 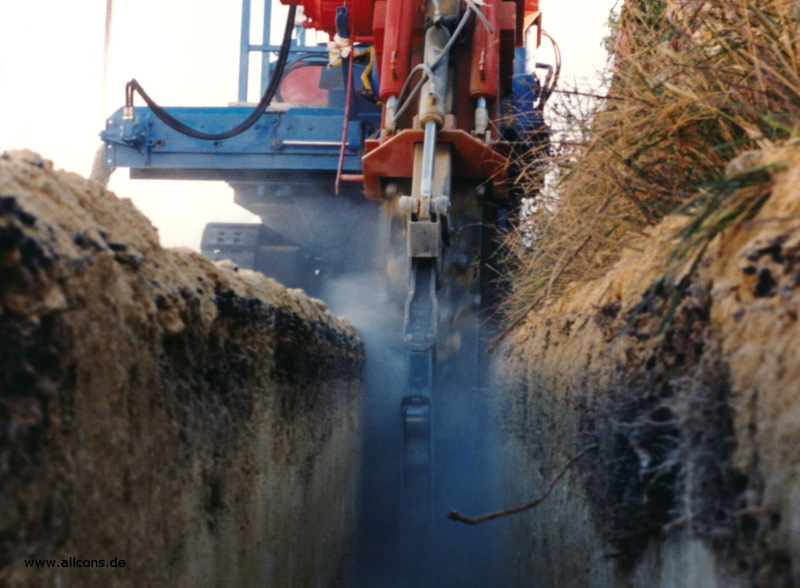 for digging trenches up to 3.5m depth and 1.5m width at a high production rate. 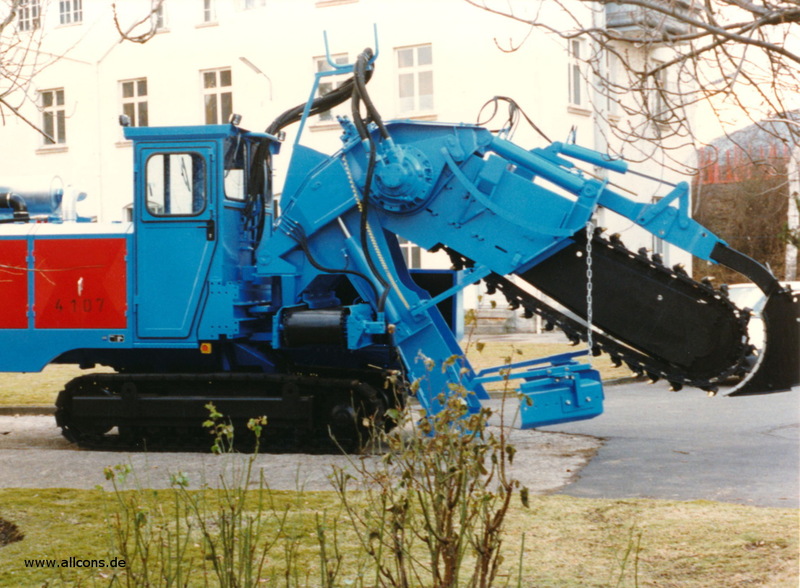 for digging trenches up to 25m depth and 1.25m width even in rocky soil. 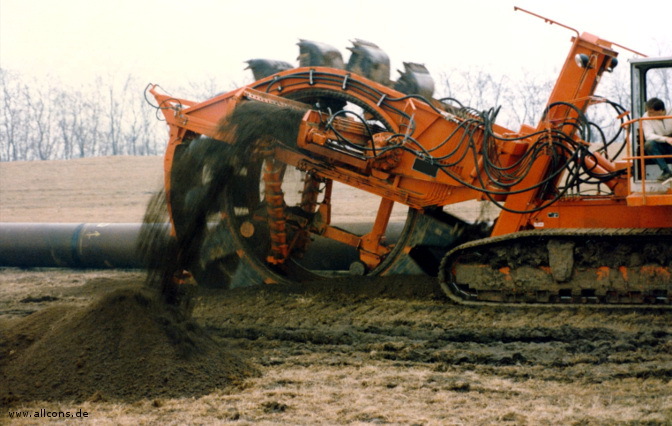 for trenching and placing drainage pipes, geotextile or cable in up to 4m depth with optional backfiller. 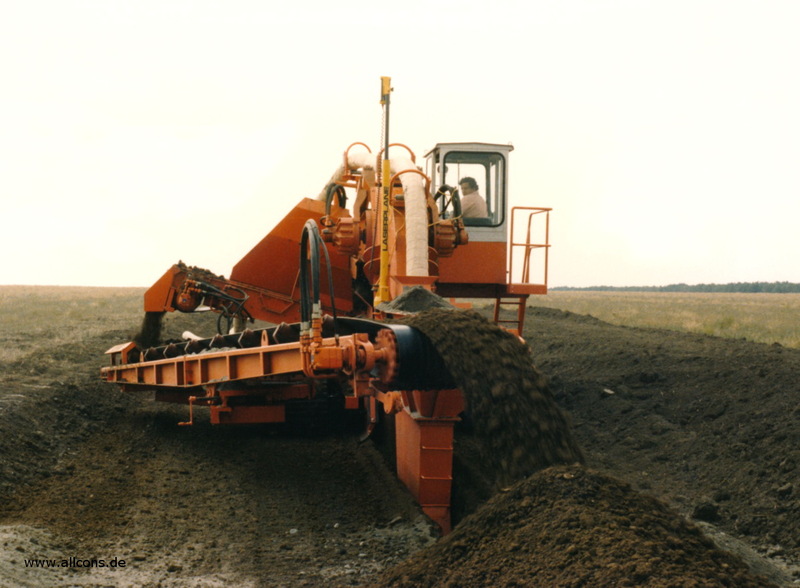 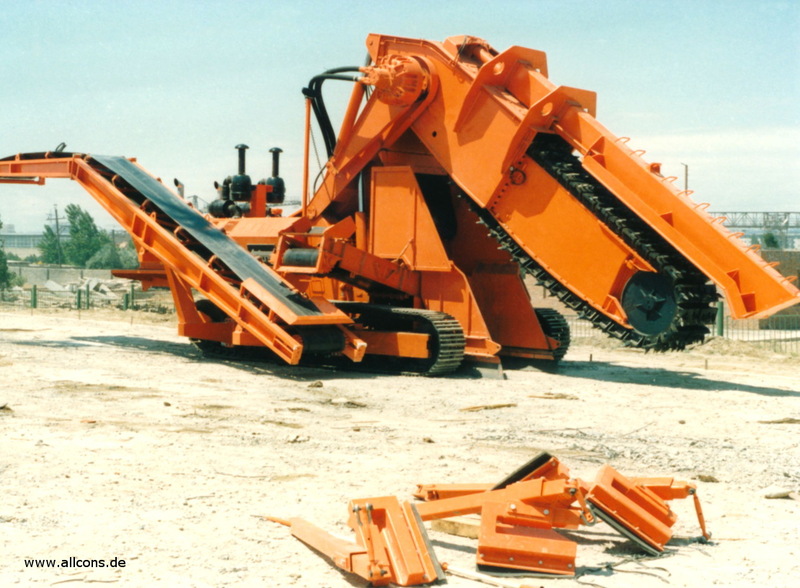 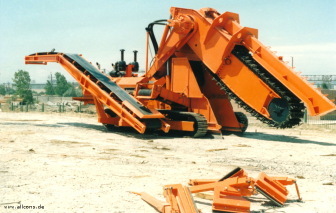 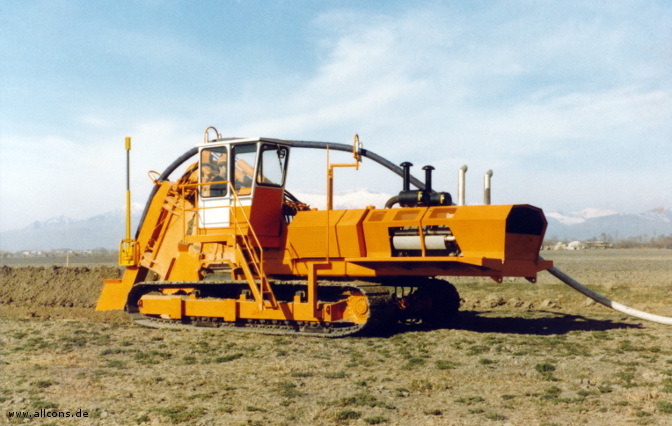 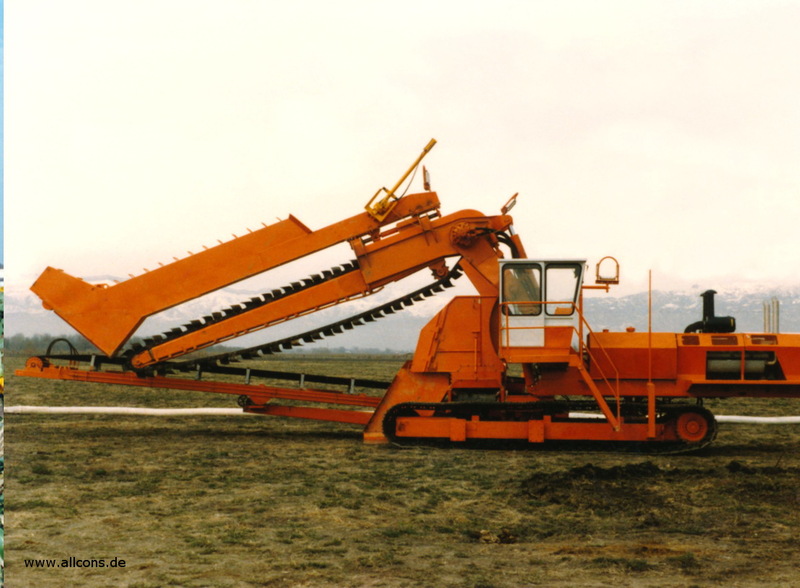 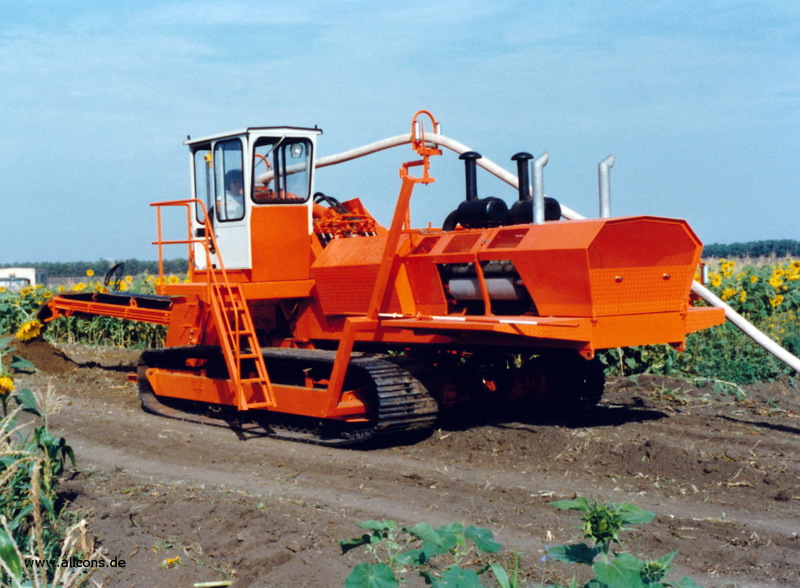 Track Trenchers with a digging chain are used for very hard and rocky soil, or for cutting deep and narrow trenches. 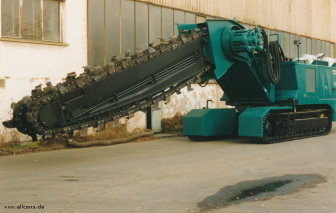 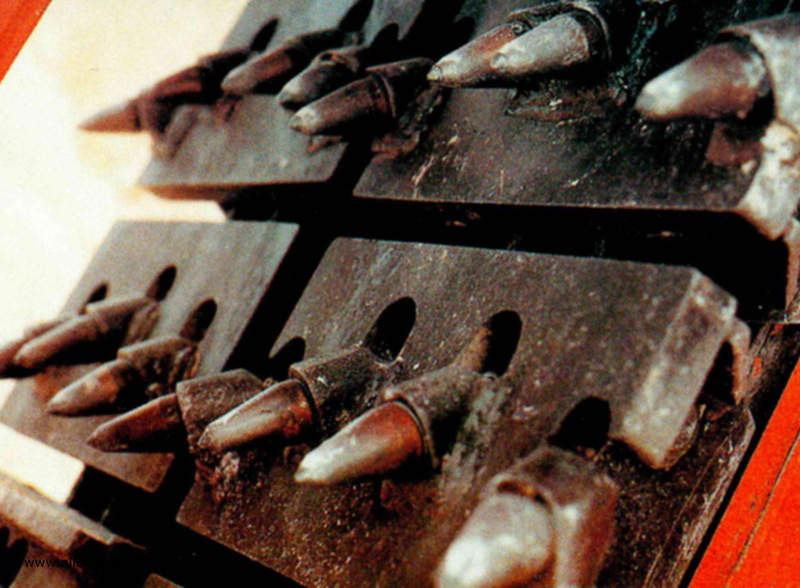 Depending on the ground, the digging chain is equipped with exchangeable chisels, teeth or cutting blades.